Now through November 1st: If your house street number ends in 1, 3, 5, 7, or 9 you may water on Sunday, Wednesday, and Friday. If your house street number ends in 0, 2, 4, 6, or 8 you may water on Tuesday, Thursday, and Saturday. Outdoor watering is NOT allowed on Monday. All watering must take place BEFORE 9am and AFTER 6pm. Books Revisited and Books Revisited 2 inside the White Sands Mall are open Wednesday through Saturday from 10 am until 6 pm. Donations of books, CDs, DVDs, Audio Books, Cassettes and more are always welcome and drop boxes are located on both the east and west sides of the mall. Books Revisited is always looking for volunteers! For more information, please call 575-921-8002. The Alamogordo Animal Control currently has dogs and cats available for adoption. All adopted pets are spayed or neutered. They are open Tuesday through Saturday from noon until 5pm and are located on the corner of Fairgrounds Rd and North Florida Ave. The Alamogordo Senior Center offers lunches Monday through Friday from 11:15 am until 1 pm for all senior citizens in Otero County! There is a choice of the menu of the day or soup and salad. Chili beans are offered Mondays, Wednesdays, and Fridays. Meals are available for a suggested donation of $2.50 and homebound meals deliver is available! For more information, contact the Senior Center at 575-439-4150 or stop by Indian Wells and Puerto Rico. The Toy Train Depot is currently looking for volunteers who would be willing to spend one or more days a week dribing the drain through the park. No experience is necessary, just a love of trains! You must be 21 or older in order to be a volunteer. Call 575-437-4231 to sign up or for more information. You can also stop by the Toy Train Depot, 1991 N. White Sands Blvd. Please note, most require you to bring your ID and/or provide your home address. In the Army National Guard, you can serve one weekend a month and two weeks a year, even if you have a career of your own or go to college full time. Right now, the National Guard will pay for training, and will pay you for working Saturdays. If you are between the ages of 17 and 35, and you would like to sign up, call SSGT. Yeager at 575-313-3972 or click here. Located at 1109 East 10th Street, with the entrance located in the back of the building, the Habitat for Humanity Restore offers used building supplies, furniture, appliances and more! The Restore is open Wednesday through Saturday, from 9am until 1pm. For more information, please call 575-437-6562. Just one hour, once a week in a child’s classroom. You can help a child with reading, basic math skills, homework and study skills. Just one hour, once a week can shape a child’s future! To learn how you can make a difference, contact Big Brothers Big Sisters of Otero County at 575-434-3388. Set up an appointment to have your child’s car seat inspected at the Alamogordo Police Department. This happens the third Saturday of every month. To schedule your appointment, please call 575-439-4325 extension 136. If you have a flag that needs to be retired, whether it is old, tattered, frayed, or faded, First National Bank, located at 414 10th Street, will collect your flags and five them to the Holloman Air Force Base Honor Guard who then instructs local boy scout troops on how to properly and respectfully destroy the flag. For more information, call Rainee at 575-437-4880. Families Apart is an all volunteer program funded entirely by donations. Families Apart organizes and funds group events and outings for the families of our deployed airmen. There are many different facets of this organization. If you would like to volunteer your time or if you would like to donate, please call 575-572-7754. If you have unwanted cell phones, you can drop them off at First National Bank. All proceeds are used to purchase prepaid international calling cards for our U.S. Troops. This is the easiest way you can give back! Drop your cell phones at First National Bank or call 575- 437-4880 for more information. White Sands Habitat for Humanity is taking applications for their partner family program and rehab program for the low income home owner. If you or someone you know contact White Sands Habitat for Humanity. Animal Village NM has dogs, cats, kittens, puppies, are ready for their forever homes. All fees include spay and neutering surgeries, up to date and puppies free professional training classes. For more information call 575-446-4685. This monthly meeting is free and open to the public. Join the committee to discuss issues, events and that could influence the community. 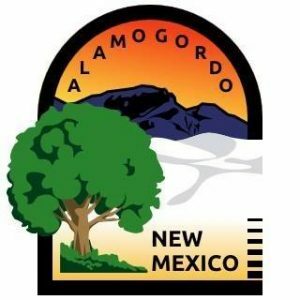 This event is the second Tuesday of each month in the Alamogordo Chamber of Commerce Conference Room at 8 am. This committee discusses land and air transportation issues impacting the Tularosa Basin. The committee meets the last Friday of each month at Pepper’s Grill at noon. Meetings are held at Patron’s Hall at the Flickinger Center at 12 noon. For more information, please call the Flickinger Center at 575-437-2202. Meetings are held at Margo’s Mexican Food at 8 am. Everyone can attend the event that features a Chamber business. For more information, please call 575-437-6120. Meetings are held at the La Luz Volunteer Fire Department, 51 JJ Henry. For more information, please call Rick at 575-491-4290. Enjoy weekly conversations with Father Tom Lowe of St. John’s Episcopal Church at Plateau Espresso inside Lowe’s Signature Market at 10 am. For more information, please call 575-434-8970. Meetings are held at St. John’s Episcopal Church Library, 1114 Indiana. All aspiring and published writers and poets are welcome. For more information, please call 575-434-8970. Meetings are held at the Betty McKnight Community Center, 109 South County Line. For more information, please call 915-691-1023.